An All Progressives Congress, APC, chieftain in Bauchi State, Alhaji Ali Saidu has blamed the federal government and security agencies for not removing the Senate President, Bukola Saraki from office. This was as he threatened to mobilise nationwide mass protest to demand the immediate sack of Saraki as the nation’s Senate President. He made this disclosure Saturday in Bauchi in an exclusive interview with the Media. 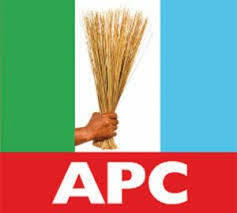 The APC chieftain accused Saraki of causing serious setback to the President Muhammadu Buhari administration in its determination to develop the country. ” I had initially said that the emergence of Saraki as senate president is a bottle neck to APC administration because the executive and the legislative arm of the government relationship has been bitter following Saraki undue attitude against President Buhari,” he said. Saidu insisted that if the Federal Government and security agencies failed to get Saraki out of office, Nigeria will not experience peace. “The ouster of Saraki is necessary and not negotiable because bills from the President’s office had always suffered especially issues that require legislative procedures. So, sparing Saraki to continue in office justify a collateral damage to Nigerians,” he added. The APC chieftain then threatened to soon mobilise nationwide mass protest to block the National Assembly complex if Saraki was not impeached Immediately. “Yes, let me assure you that many pressure groups have volunteered to join us stage mass protest blocking the entrance of NASS any moment from now demanding Saraki’s sack to liberate Nigerians,” he said.